That’s 2 lb ground beef, 1lb ground pork, pork rib chops, breakfast sausage, mild Italian sausage, a whole chicken, chicken wings, chicken breasts, and a dozen chicken eggs. That is a serious amount of meat. 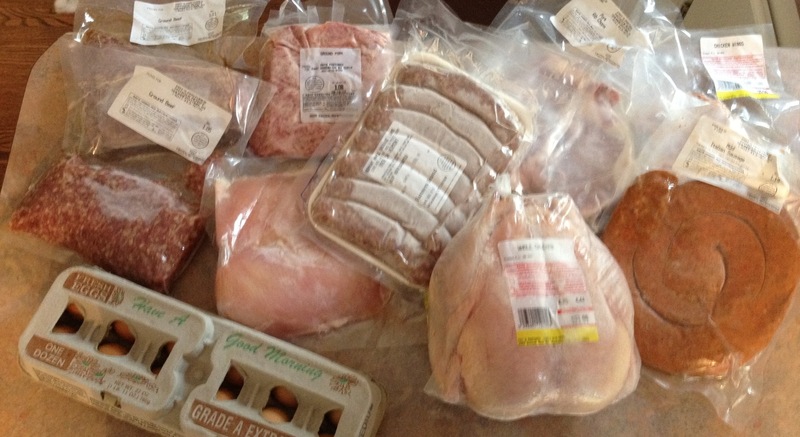 It looks like a lot, but I won’t buy any other meat all month.